Even today, our compatriots live and work within Armenian communities and contribute to the preservation of national values in foreign countries. The main aim of the Armenian Community of China is to accomplish thisimportant mission, which is the topic of this interview that President of the Armenian Community of China Mher Sahakyan gave to Hayern Aysor. Hayern Aysor: For historical background, could you inform us when Armenians settled in China? Armenians have visited China in different periods throughout history, but have not settled. Unlike countries where Armenian communities have constantly existed or have been there for a couple of centuries, China has not hosted Armenians for a long time for certain reasons. They have lived in China for a while and then moved to other countries. In this regard, the Armenian Community of China is starting from a new page. On the one hand, this is difficult. On the other hand, I am very glad that our new Executive Committee, which consists of young intellectuals and hinges on innovative principles, is free to make its own decisions and has the opportunity to create an organization based on its own vision, stand out from others with its uniqueness and innovation, and work for the preservation of the Armenian identity. 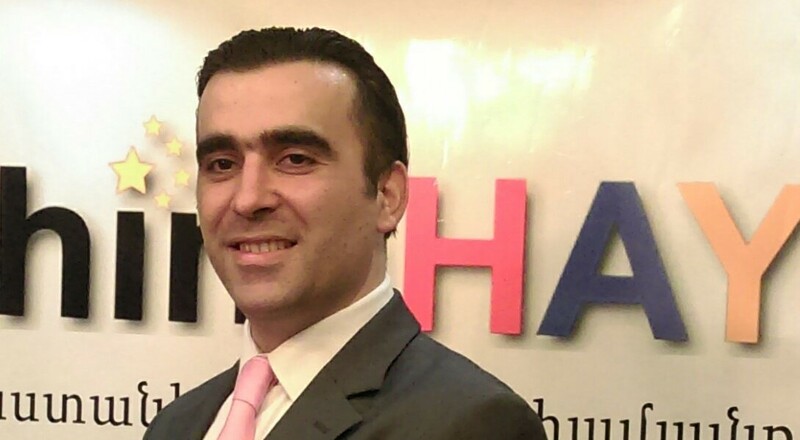 Hayern Aysor: How many Armenians live in China? Which cities are they based in? What do they usually do in China? In which spheres are they involved? There are about 600 Armenians based in Hong Kong, Beijing, Guangzhou, Shanghai, Nanjing, Changchun, Shenzhen and other cities. The community is small in number, and the members live thousands of kilometers away from each other, but innovative management mechanisms and the Executive Committee, which consists of managers, lawyers, artists, and specialists in the fields of international affairs and oriental studies who have studied at the world’s top universities, give quality to internal and external activities which Chinahay is organizing. To a certain extent, due to “quality over quantity,” being small in number is an advantage for the ChinaHay Armenian Community of China, making it more active and efficient. Armenians in China can be classified into four groups. The first group includes Armenians who have graduated from the world’s top universities and are now working in well-known Chinese organizations. The second group includes Armenian students who are from Armenia or the diaspora. It is worth mentioning that they are very dedicated and always active in Chinahay’s activities. The third group includes Armenians who have traveled from Armenia to China to work, the majority of whom have graduated from Chinese universities. Today, this group consists of 120-150 members. Unable to find a job in Armenia, they return to China, teach English or other foreign languages, and work in the profession that they got at their Chinese university. The fourth group includes a small number of Armenian businessmen who have mainly moved to China from foreign countries. Hayern Aysor: It appears that the establishment of The Executive Committee and the Armenian Students’ Union of China was a major achievement in the process of building the community. Tell us about that. Yes, it is worth mentioning that it all started with the creation of The Executive Committee, when a group of patriots united to establish the Armenian Community of China and an Armenian Students’ Union. In general, these structures formed important platforms to carry out future programs and projects. Henri Arslanian started creating the executive body of “ChinaHay”, and I was working on establishing the Armenian Students’ Union, which further united Armenian students and researchers based in China. Later, we decided that there should be one strong and united organization in China. As a result, the Armenian Students’ Union of China became an integral part and one of the driving forces of the Armenian community. In 2013, we created the Executive committee, which is currently composed of 15 members. The members of the Executive Committee represent Armenians based in different cities across China. Every month, the executive body holds online meetings, during which it decides on and draws up the plans for the upcoming month. To increase our influence and improve the organization of the community, the Executive Committee then registered the “Armenian Community of China” organization in Hong Kong. The board of directors of this Armenian organization included members of the executive body. The community also has a Council of Advisers which includes famous Armenians with good reputations. The democratic elections of the Executive Committee can also be considered important. In this governing body, men and women are represented equally. These individuals come to China from the West, East, Russia and Armenia. In turn, the Armenian Students’ Union of “ChinaHay” consolidates and helps Armenian students from Armenia and the diaspora, bringing them into the community. Members of the Students’ Union actively participate in academic and cultural life within the community. It is important to mention that the community is guided by the principles of creation of an informational society. Thus, management is completely carried out through the Internet, which provides an opportunity to solve problems quickly. There is almost no paperwork. Everything is going on through electronic circulation of documents. This system was created in a short period thanks to the hard work of the members of the Executive Committee. The main goal is to make “ChinaHay” one of the best among similar Armenian organizations in the 21st century, so that Armenians living far away from the Homeland can spend their time wisely in an interesting way by participating in cultural, scientific and other events organized by “ChinaHay”. Hayern Aysor: What programs and events has “ChinaHay” organized for the community? It has united our compatriots living thousands of kilometers away from each other, actively presented Armenian arts and culture, and organized cultural events for commemoration of the Centennial of the Armenian Genocide, and Holy Mass. During the last Four-Day Artsakh War, the community organized a fundraiser to provide humanitarian support to victims. Every year, “ChinaHay” organizes the Online Conference of Armenian Researchers and Students which, in turn, has consolidated Armenian scientists in China. On the initiative of “ChinaHay” and the Calouste Gulbenkian Foundation, Chinese and Armenian researchers are conducting research devoted to the history of Armenian presence in China. The community has also established the “ChinaHay” newspaper, which is the only bilingual (Armenian and English) newspaper published in the Far East. Hayern Aysor: Have Armenians been able to make Armenia and Armenian culture recognizable in China through their work and positions? What can you tell us regarding Chinese-Armenian relations? S.: The Chinese know very little about Armenia. I think the reason is that there has not been an Armenian community in China, and Armenians were not living in China for several decades. It has been only a little over two decades since Armenia established diplomatic relations with China. We must also take into consideration the fact that Chinese people are mainly interested in Western countries and Western culture. According to most Chinese, the civilized world from which they have a lot to learn starts and ends with English-speaking countries, plus France and Germany. Yes, there are Armenians who are successful in China, and they are united under the “ChinaHay” flag. They are actively involved in organizing various kinds of events to make Armenia recognizable in China. The largest event was held in 2015 in Nanjing and was dedicated to the Centennial of the Armenian Genocide. Armenians from different Chinese cities gathered in Nanjing, visited the Genocide Museum there, and paid respects to the memory of innocent victims of Armenian, Chinese and other nationalities. In order to present Armenia as an interesting, developing country and make the hundreds of Chinese and foreign participants show sympathy towards Armenia, we decided to organize cultural events under the title “Renaissance”. Chinahay organized an exhibition by the talented painter Sevada Grigoryan and a piano concert by famous Tianjin-based pianist Mikael Ayrapetyan. The Chinese audience became more connected to Armenia after this successful cultural event. We mentioned two major facts that link Chinese people to Armenians. The first is that both nations have suffered deprivation and share the same pain, which unites them to a certain extent. The second is that even after all this suffering, these two nations continue to live, create and win. “ChinaHay” also organized similar events in Shanghai and Hong Kong. Regarding Chinese-Armenian relations, I attach importance to contacts between the citizens of both countries. In 2016, as a first step,“ChinaHay” and the American University of Armenia jointly provided a scholarship to a Chinese student studying in Armenia. This program can serve as an impetus for Chinese students to view Armenia as a country that ensures high-quality education. This will be profitable for Armenia, and the Chinese students will return to their country, share their impressions, and have a heartfelt attitude towards Armenia, where they will have good friends and lovely memories. Modern Chinese-Armenian relations don’t have a long history. This means that it is necessary to find new paths for the development and “restart” of those relations. We must refuse to use the words “always” and “ancient” as fundamentals or to gain an advantage. Those words are generic and really don’t say a lot. We must bear in mind that in the current geopolitical situation, simply citing chronological records is not enough to make good progress in relations with any country, and in the modern era, for an old or new civilization, stories or myths about previous relations don’t play a major role. An advantage can only come from a positive response to the following question: have you created a trustworthy and stable economic situation in your country? Only this can make your country attractive for foreign or local businessmen . . . in short, there will be major changes in Chinese-Armenian relations when Chinese capital will achieve a certain presence in Armenia. This will help Yerevan make its voice heard through Chinese businessmen in Beijing, which has become a key player in current international relations. In sum, it is worth mentioning that the “Silk Road: Economic Belt” program, which is an initiative of People’s Republic of China President Xi Jinping, provides good opportunities for cooperation, and I hope Armenia takes advantage of those opportunities. It is also worth mentioning that while in the past, Armenia didn’t have specialists in the field of Chinese studies, that problem has now been solved. We have many specialists who have graduated from universities in China, understand this important power and are capable of playing a major role in the development of bilateral relations. If this potential is used the right way, the results will be noticeable. Hayern Aysor: What did you do in China before assuming the office of president of the Armenian community? I established my first connection with China when I started working with Chinese businessmen in 2009. 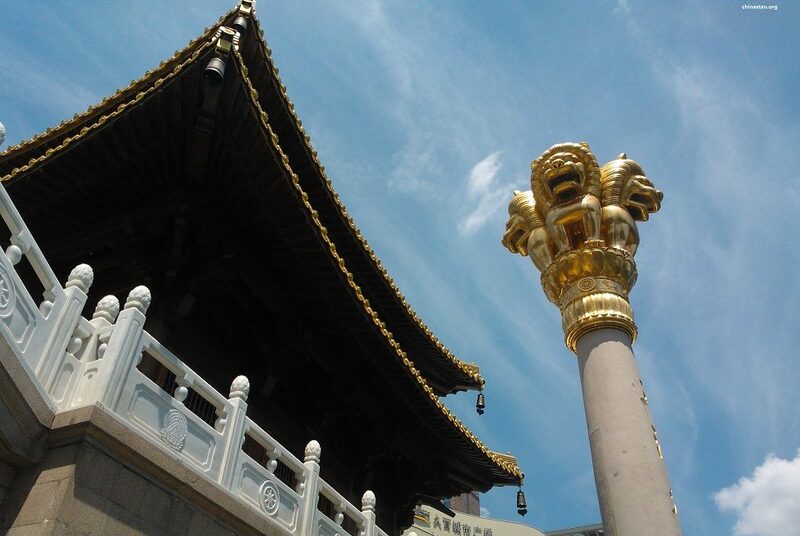 In 2011, I came to China for the first time for work. On the way back, I bought a Chinese language textbook and decided to learn Chinese. People are different. Some are interested in the West and Russia . . . I have always been interested in Eastern countries. Perhaps this is the reason why I chose Oriental studies as a profession. Later, I became deeply involved in international relations studies and dedicated my articles and thesis to political developments in the East. Perhaps it was my interest in the countries of the East (China, Iran) that made me choose people from those countries as my main colleagues in the spheres of business and science. My thesis was devoted to China’s policy on Iranian and DPRK Nuclear Issues in the United Nations Security Council. During my research, I also established contacts with leading academic centers located in China, Russia, the U.S., Europe and Armenia. The main purpose of my visit to China was to involve myself in academic research. In 2016, I successfully defended my thesis. So we won the war in this field and will continue to advance. Now I need to use this knowledge in the Armenian Community of China and the China-Europe Council for Political and Strategic Studies, which is under my leadership. Hayern Aysor: In November, China will host the now-traditional Online Conference of Armenian Researchers and Students. What is the motive for organizing such a conference? What have the tangible results been so far? The goal of the conference is to present academic works by Armenian students and researchers living and working in China. The conference helps establish ties between experienced students and researchers based in China. As a result, the elders help their junior colleagues. By preparing for and participating in the conference, students not only have the opportunity to work on their academic writing and speaking skills, but also become published authors and receive offers for collaboration from various scientific and analytical centers. Through the conference, they provide the whole world with access to their studies. Thanks to the use of innovative technologies, the online conference helps gather students and researchers from different cities across China. The successful experience of the Armenian Student Association of China can provide the students of other communities of the Armenian Diaspora with the opportunity to hold similar conferences, and distance won’t be a hindrance. Hayern Aysor: What is the ultimate goal of “ChinaHay”? In short, I would say that the ultimate goal of “ChinaHay” is to stand as a fair, democratic and human-centered organization aimed at preserving the Armenian identity.